This trip we are flying from KUALA LUMPUR TO AMSTERDAM. This is the easiest way to secure a Business Class seat. empty seats on the business class. 3. 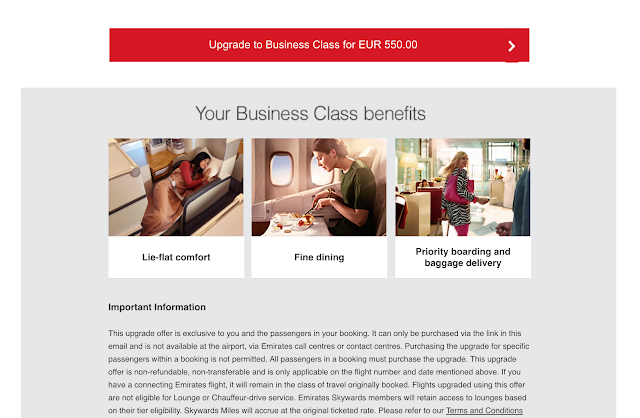 By using SKYWARDS MILES to upgrade. You will need at least 9,000 Skywards Miles to upgrade to Business Class from Economy! This is good new for frequent flyer, by turning the miles to a comfort journey! Surprisingly tasty, never thought that they will prepare such delicious curry! The salad and dessert I can say it's the finest in flight dining I ever had! 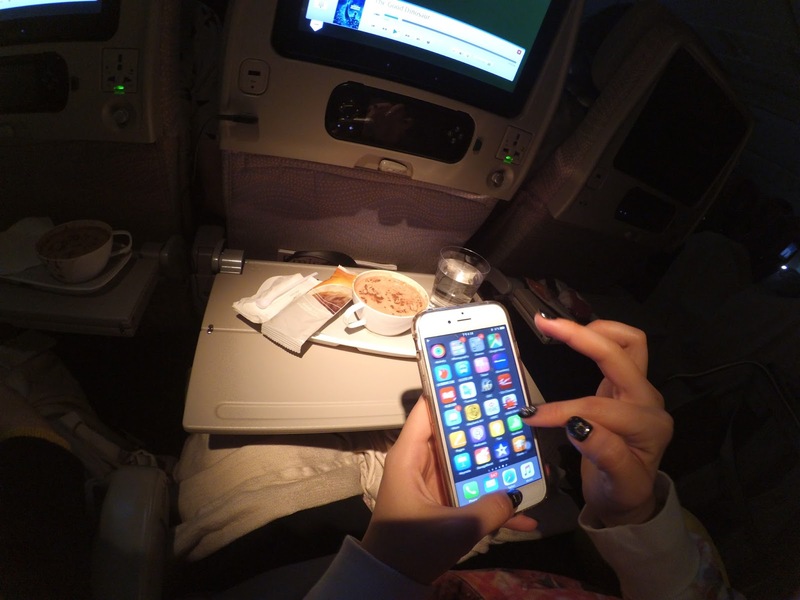 Even in the economy class, we are treated really well! 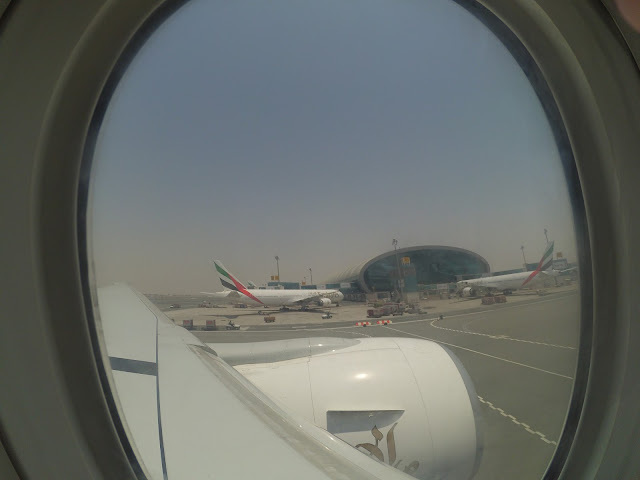 And of course, we landed safely in Dubai International Airport! 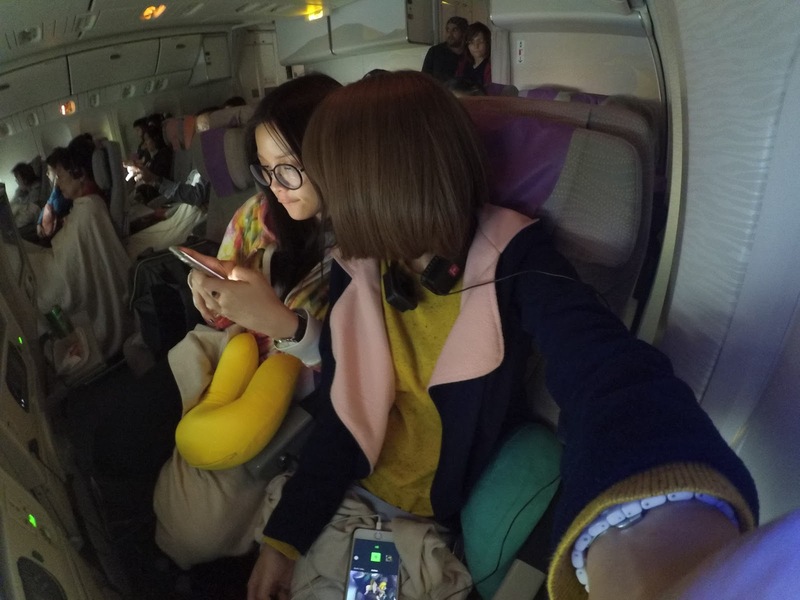 The left peace hand sign is by the cutie pie cabin crew while I am taking the photos! You can charge whatever device here! The menu for Business Class Passenger! You can order anything during the flight! and a sticker that indicate your mood which I find this really sweet! 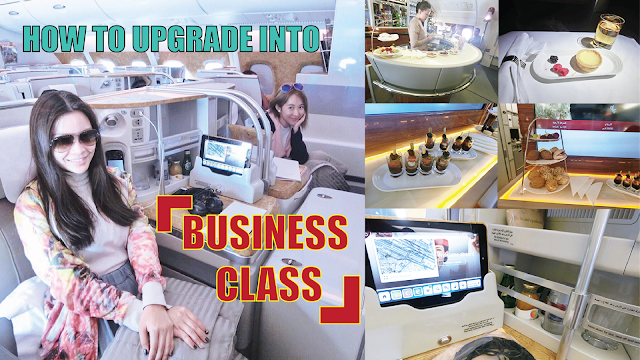 Here is the Sky Lounge exclusive for Business Class & First Class passenger! I request for an alcohol free mojito, and the cabin crew made that for me without any hesitation!They are very professional! Here comes our inflight Fine Dining meals! Comes with classy silver cutlery! Joewy is enjoying her Chocolate Brownie as her dessert. While I am enjoying Egg Tart as my dessert! your time on your vacation or business trips! 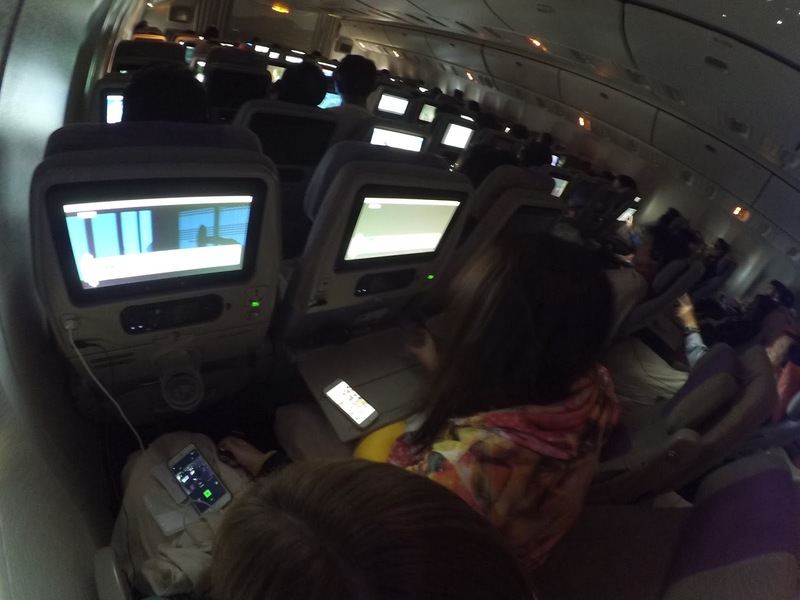 Here is the Video that I taken during my previous Business Class flight! Hope you have a better view for the whole Business Class Cabin. That's all for the sharing and hope you enjoy reading! Do leave me a comment below if you have any question and I will get back to you soon! 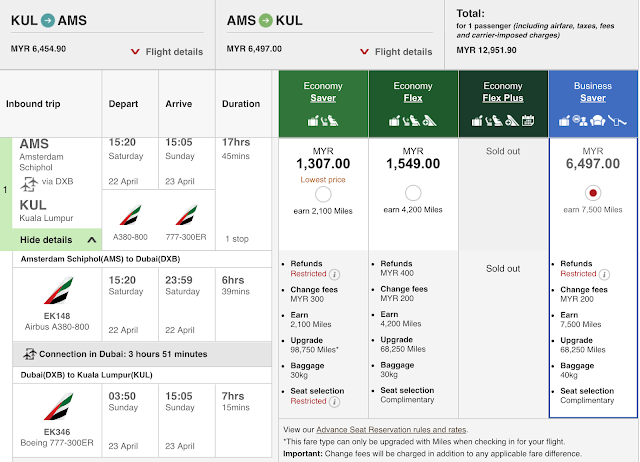 You may CLICK HERE for the my Itinerary for London + Netherlands! have read many blogs in the net but have never come across such a well written blog. 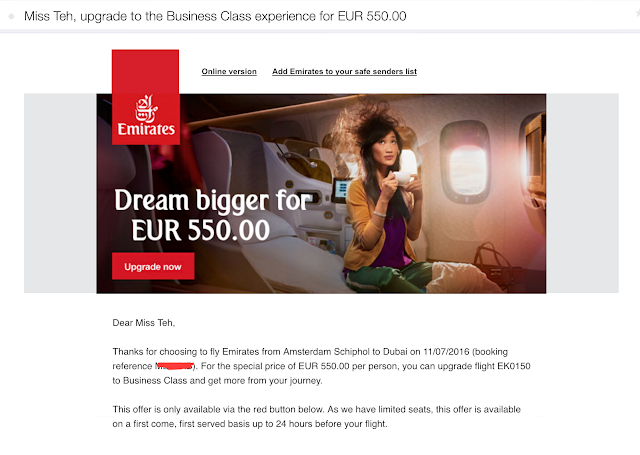 Good work keep it up for the information about bargain business class flights thank you for this blog ! !